HARRISBURG, Pa. (WPVI) -- Pennsylvania environmental officials have ordered Sunoco to halt construction of a natural gas pipeline across the southern part of the state, citing a series of spills and other "egregious and willful violations" of state law. 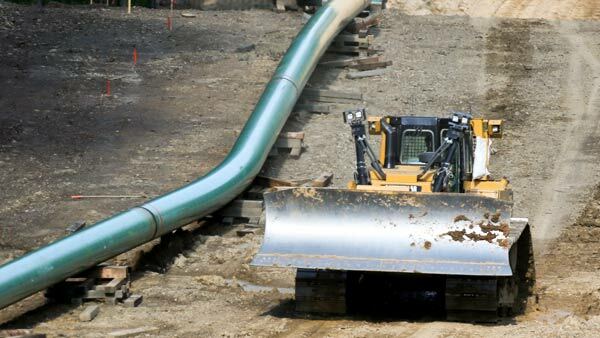 The Department of Environmental Protection announced Wednesday that it has ordered work on the Mariner East 2 pipeline to stop until Sunoco complies with the terms of its permit. DEP has issued dozens of environmental violations to Sunoco since May. The agency ordered Sunoco to come up with a plan to fix the problems that have plagued the $2.5 billion pipeline. A Sunoco spokesman did not immediate respond to a request for comment. The planned pipeline will carry propane, butane and ethane from the Marcellus Shale natural gas formation to an export terminal near Philadelphia.